Professor Cha holds the D.S. Song Chair in Asia and a joint appointment with the School of Foreign Service core faculty and the Department of Government at Georgetown University. He is a recipient of numerous academic awards including the Fulbright Scholarship (twice) and MacArthur Foundation Fellowships. Professor Cha also spent two years as a John M. Olin National Security fellow at Harvard University and as a postdoctoral fellow at Stanford University, the Center for International Security and Cooperation (CISAC). In 1998, he was the Edward Teller National Security Fellow at the Hoover Institution, Stanford. In 2008, he was the William J. Perry Fellow, also at Stanford. Dr. Cha is the award-winning author of Alignment Despite Antagonism: The US-Korea-Japan Security Triangle (Stanford Univ. Press, 1999) (winner of the 2000 Ohira book prize). He has published articles on international relations and East Asia in International Security, Foreign Affairs, Survival, Political Science Quarterly, International Studies Quarterly, Orbis, Armed Forces and Society, Journal of Peace Research, Security Dialogue, Australian Journal of International Affairs, Asian Survey, Journal of East Asian Studies, Asian Perspective, and Japanese Journal of Political Science. 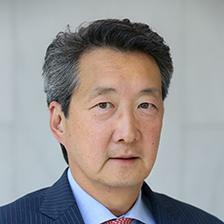 He has acted as a consultant on East Asian security issues for different branches of the U.S. government, and is a frequent contributor and guest analyst for various media including CNN, National Public Radio, New York Times, Washington Post, Time, Newsweek, Asahi Shimbun, Japan Times, Choson Ilbo, and Joongang Ilbo. Dr. Cha received two Outstanding Service commendations during his tenure at the White House. Recent publications include "Winning Asia: An Untold American Foreign Policy Success" in the November/December 2007 issue of Foreign Affairs; and "Beijing's Olympic-Sized Catch 22" in the Summer 2008 issue of the Washington Quarterly. Dr. Cha's new book is "Beyond the Final Score: The Politics of Sport in Asia" (Columbia University Press, 2009). He is Director of Asian Studies at Georgetown and adjunct Senior Fellow at the Pacific Council for International Policy. He is the co-editor of the new Contemporary Asia Series at Columbia University Press.He holds a Ph.D in Political Science from Columbia University, and Masters from Columbia University and the University of Oxford.